ATLANTA — We do not yet know the policy of the next administration toward Israel and Palestine, but we do know the policy of this administration. It has been President Obama's aim to support a negotiated end to the conflict based on two states, living side by side in peace. Back in 1978, during my administration, Israel's prime minister, Menachem Begin, and Egypt's president, Anwar Sadat, signed the Camp David Accords. That agreement was based on the United Nations Security Council Resolution 242, which was passed in the aftermath of the 1967 war. The key words of that resolution were "the inadmissibility of the acquisition of territory by war and the need to work for a just and lasting peace in the Middle East in which every state in the area can live in security," and the "withdrawal of Israel armed forces from territories occupied in the recent conflict." This was why, in 2009, at the beginning of his first administration, Mr. Obama reaffirmed the crucial elements of the Camp David agreement and Resolution 242 by calling for a complete freeze on the building of settlements, constructed illegally by Israel on Palestinian territory. 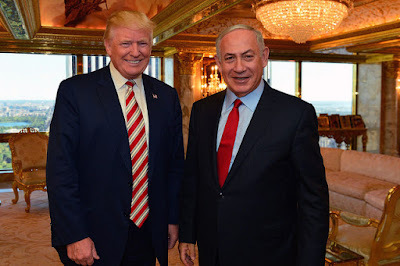 Later, in 2011, the president made clear that "the borders of Israel and Palestine should be based on the 1967 lines," and added, "negotiations should result in two states, with permanent Palestinian borders with Israel, Jordan and Egypt, and permanent Israeli borders with Palestine." Today, however, 38 years after Camp David, the commitment to peace is in danger of abrogation. Israel is building more and more settlements, displacing Palestinians and entrenching its occupation of Palestinian lands. Over 4.5 million Palestinians live in these occupied territories, but are not citizens of Israel. Most live largely under Israeli military rule, and do not vote in Israel's national elections. This is the best — now, perhaps, the only — means of countering the one-state reality that Israel is imposing on itself and the Palestinian people. Recognition of Palestine and a new Security Council resolution are not radical new measures, but a natural outgrowth of America's support for a two-state solution. The primary foreign policy goal of my life has been to help bring peace to Israel and its neighbors. That September in 1978, I was proud to say to a joint session of Congress, "Blessed are the peacemakers, for they shall be called the children of God." As Mr. Begin and Mr. Sadat sat in the balcony above us, the members of Congress stood and applauded the two heroic peacemakers. Jimmy Carter, the founder of the Carter Center, was the 39th president of the United States. For starters: Make the $38 billion military aid package dependent on Israeli actions to dismantle the occupation, and recognize the State of Palestine already. Again, the Republican candidate in the U.S. presidential elections lost the popular vote but won the election. Such is a function of the mechanics of the U.S. flavor of democracy where not every vote matters; only votes in key states matter. Nevertheless, billionaire Donald Trump is heading to the White House. 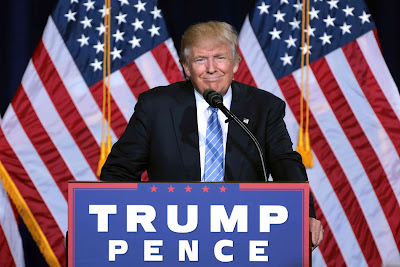 Trump's ascent into the U.S. presidency will be the material for political analysts and historians, not to mention Hollywood, for many years to come. That noted, history has already clearly established that the difference between a candidate's campaign and their posture once in office are like night and day. This applies to Trump just like it would apply to any other candidate. He should prepare himself to be the tool of a state apparatus which is much more about the U.S. than it will be about Trump the person, despite the best efforts of his public relations spin masters. The novel The Yiddish Policemen's Union should come with a large, bold warning label affixed to the outside cover, like those labels on cigarette packs. WARNING: READ WITH CAUTION IF YOU ACTUALLY LIVE UNDER A JEWISH ISRAELI MILITARY OCCUPATION. 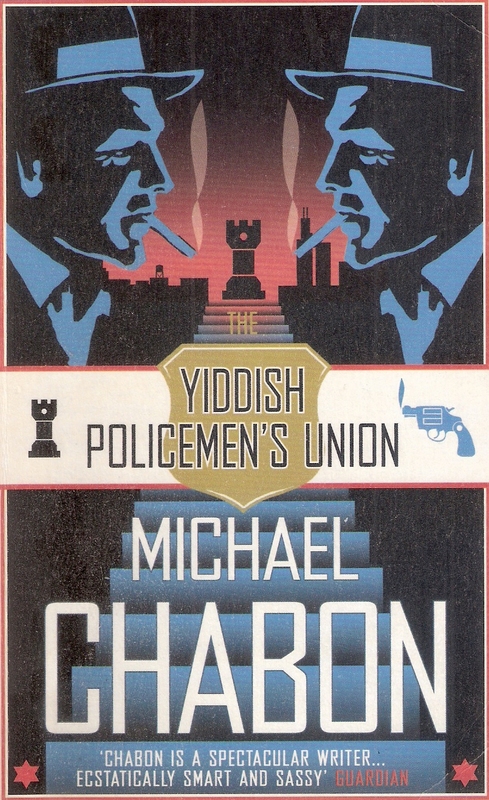 Pulitzer Prize-winning author Michael Chabon should have known better than to gift me his novel. Michael visited our home in Palestine this past summer and after spending the day giving him a tour of the Palestinian cities of Al-Bireh and Ramallah (central West Bank) and Nablus (northern West Bank) we settled down, along with Palestinian writer Fida Jiryis, for dinner at Darna Restaurant, located in the heart of historic Ramallah. By the time dinner was over, not only had we learned about this author's amazing professional career and life journey, but he casually mentioned a note about this novel that he wrote back in 2007 that was based on a real historic fact in U.S. politics related to the issue of Palestine and Israel. I was puzzled and asked if he was joking. He wasn't. I'm sure it showed that I was embarrassed to have never heard of this fact, given I'm rather well read on the topic. Before parting, he passed me a copy of the novel as a thank you gift.